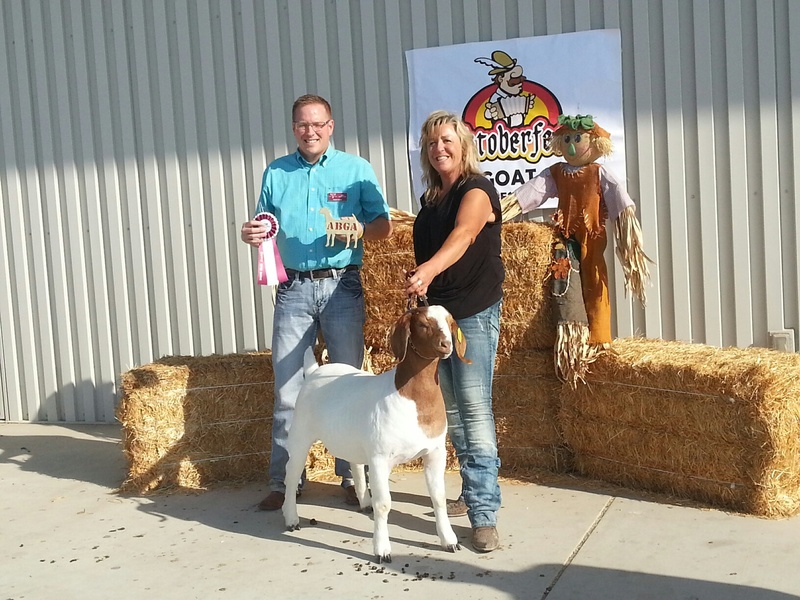 See What's for SaleWelcome to JC Boer Goats! 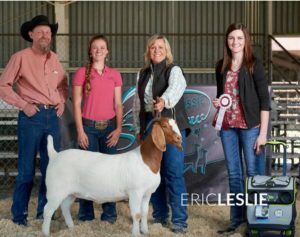 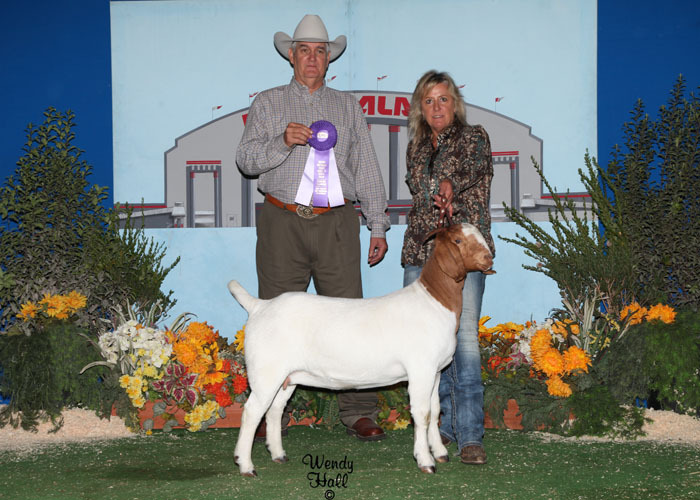 Welcome to JC Boer Goats – UPDATED 3/22 /19 – Fullblood Bucks and Does FOR SALE, PLUS OUR CONSIGNMENTS TO THE BEST IN THE WEST BOER GOAT SALE – APRIL 7TH IN ANDERSON, CALIFORNIA – GO TO FOR SALE PAGE! 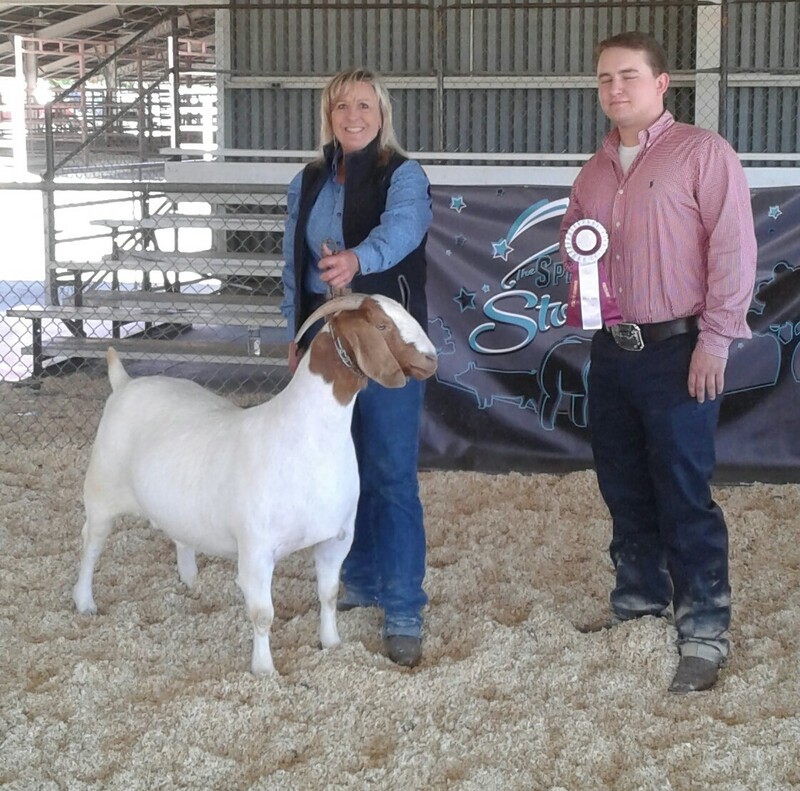 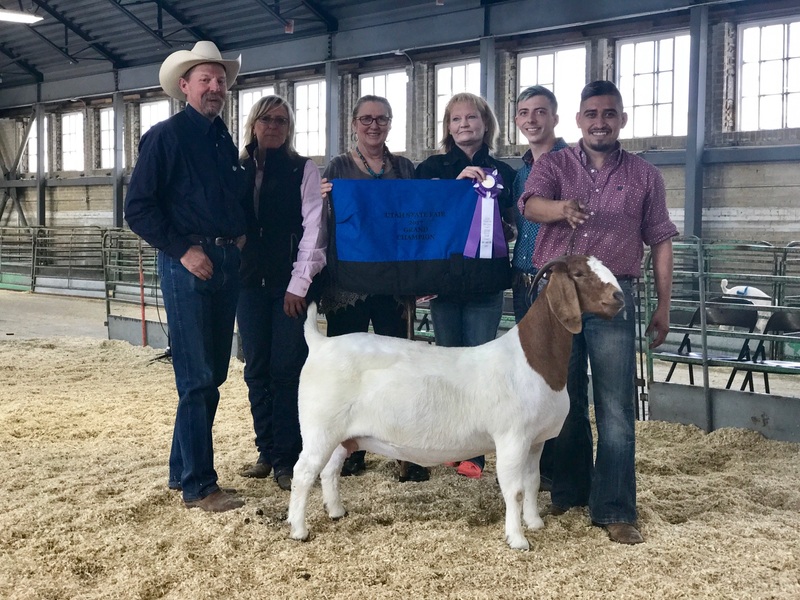 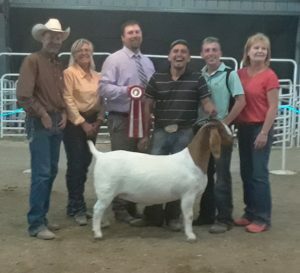 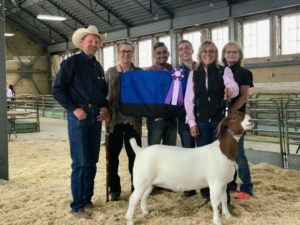 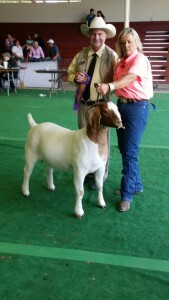 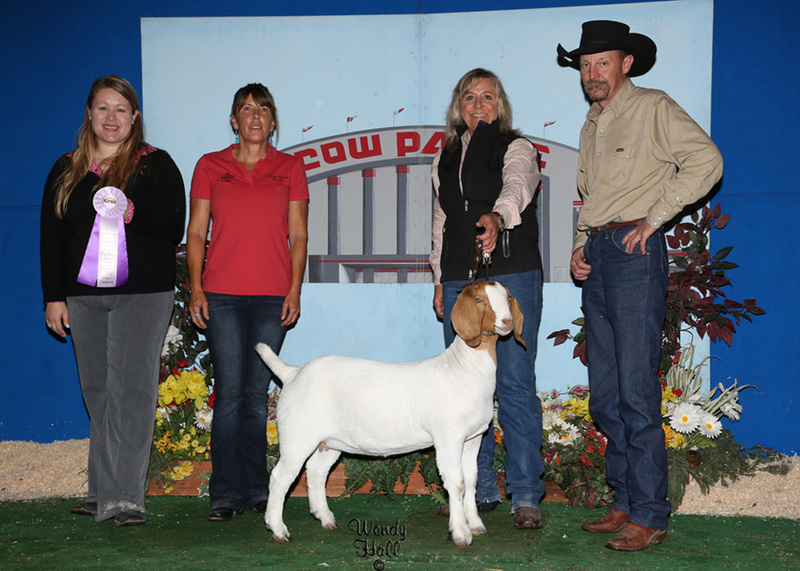 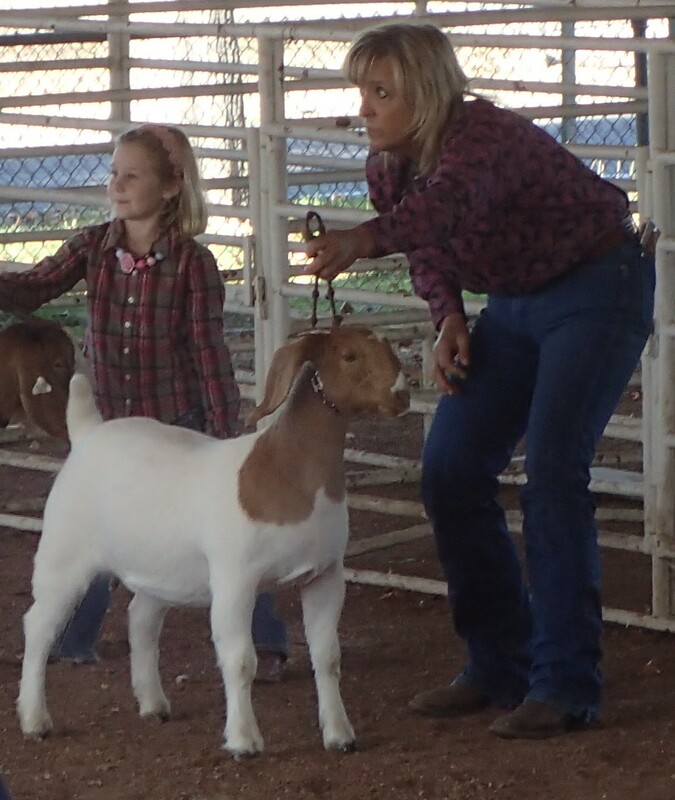 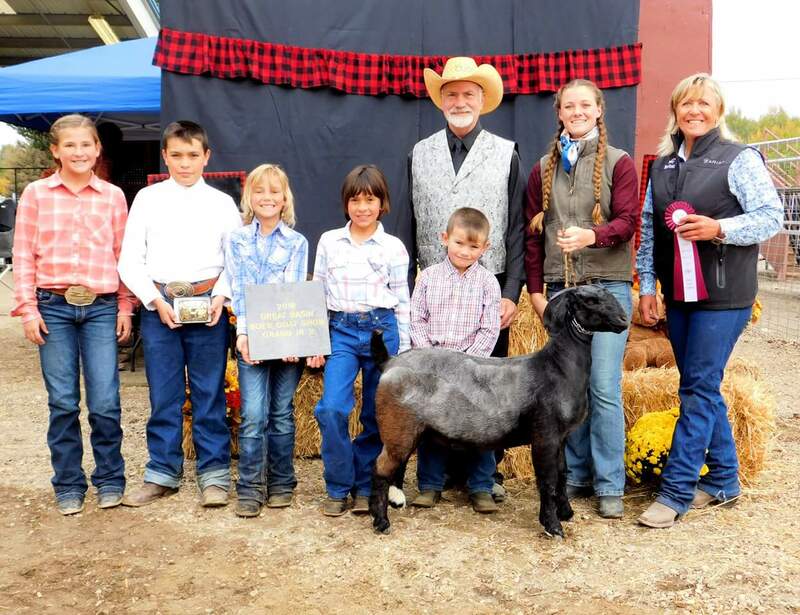 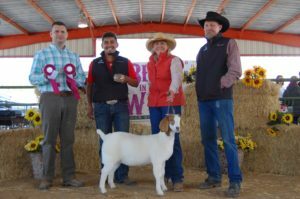 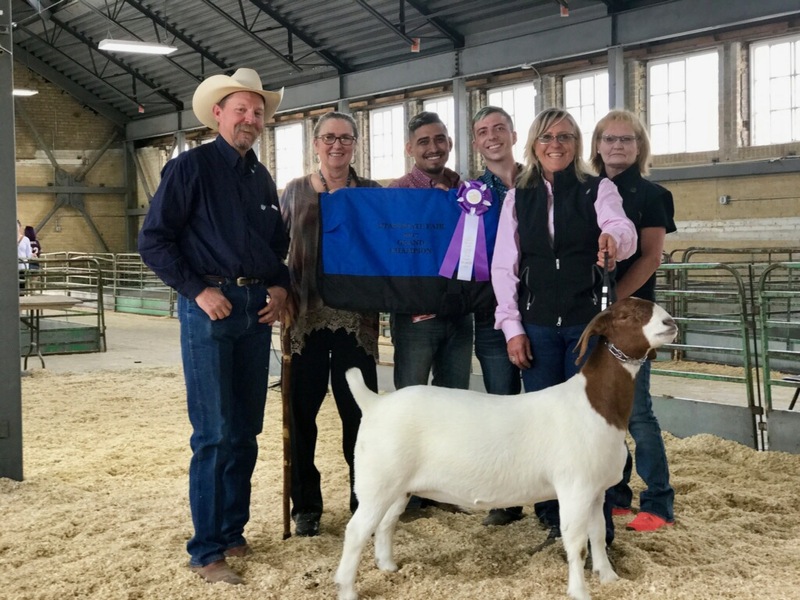 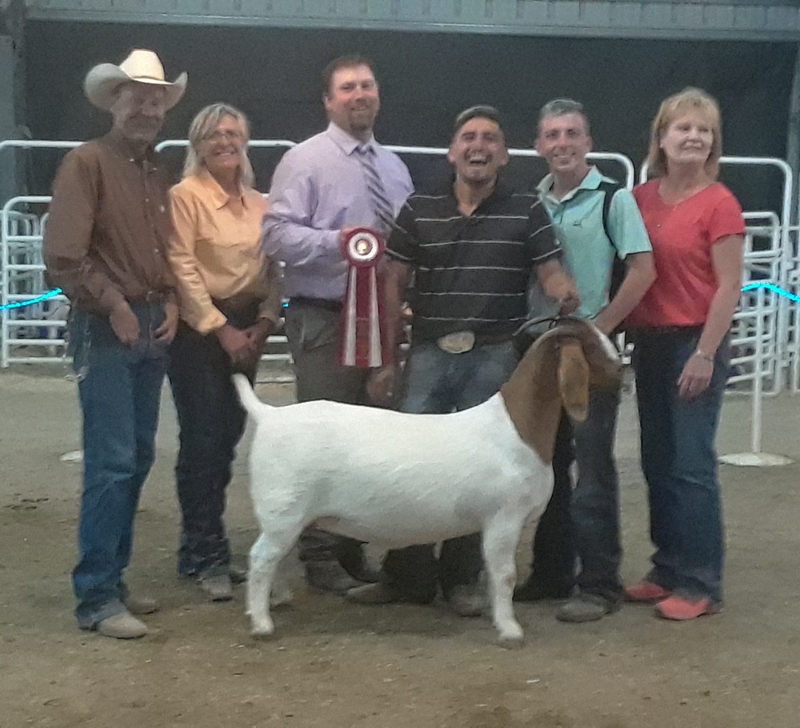 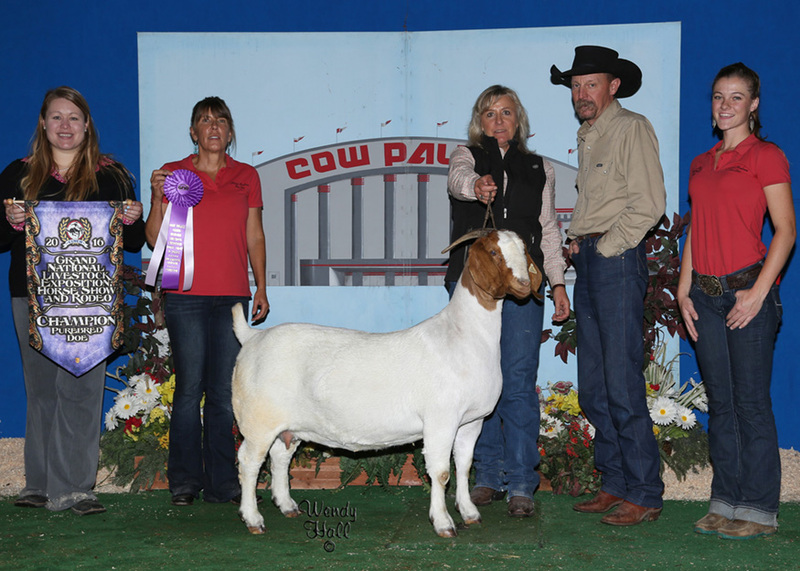 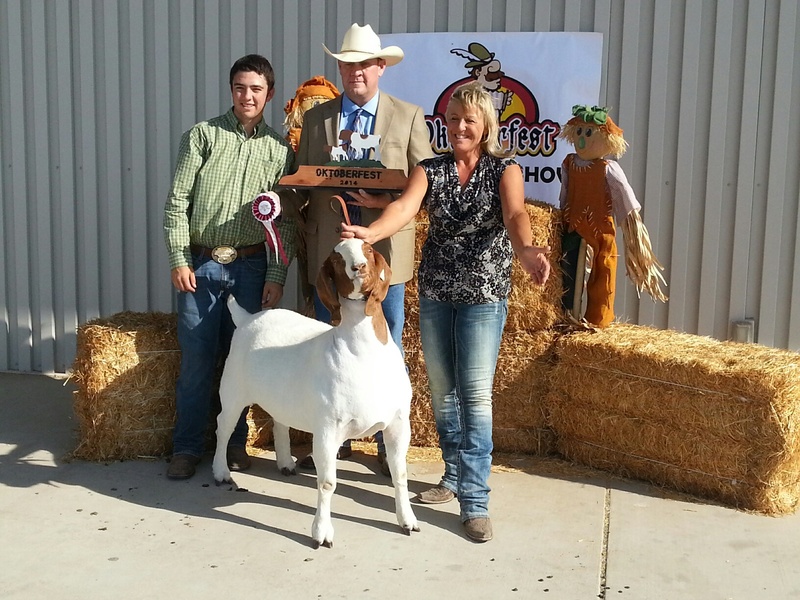 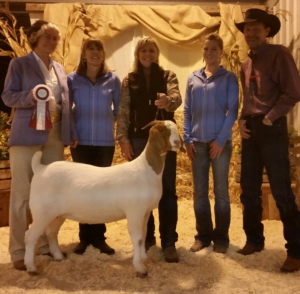 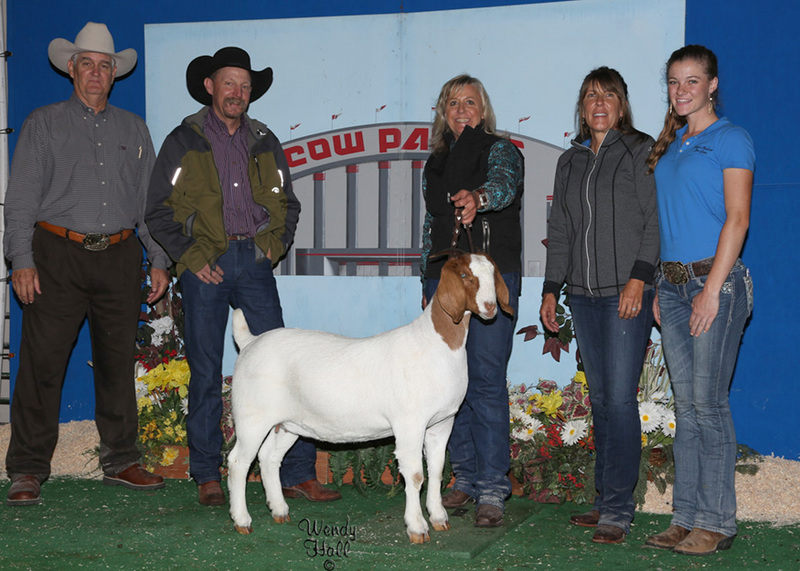 JC BOER GOATS WON BIG A THE GREAT BASIN BOER GOAT SHOW – Overall Grand Percentage doe both days, Reserve Overall Grand Fullblood doe both days, Grand and Reserve Buck Show 2 Yearling Champion doe. 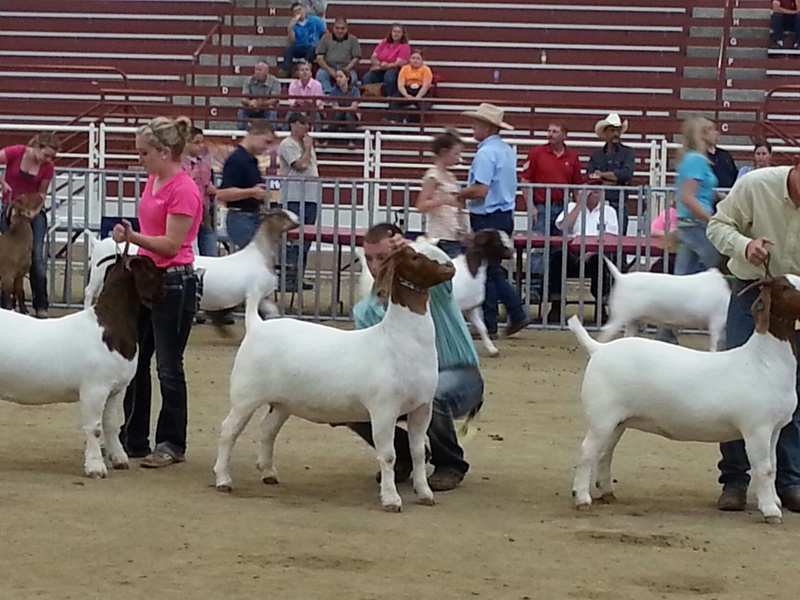 All Sired by NF3 Black Out, JC BOER GOATS STREET JUSTICE and AABG NBD MORE POWER. 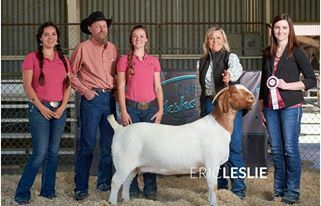 We have moved our herd of BOER GOATS to Elko, Nevada ! 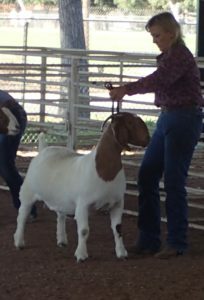 I have over 80 head of full blood ABGA Registered Boer goats. 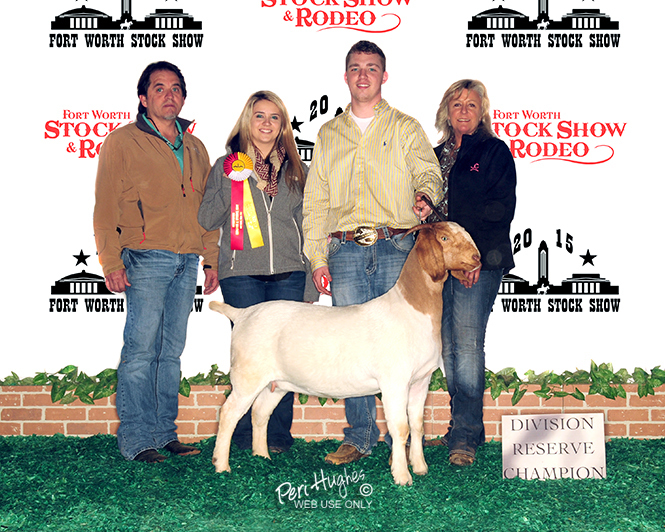 We always have Boer goats for sale and are focused on producing breeding stock and competitive show winners. 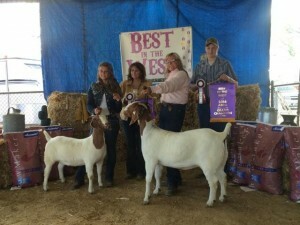 Our award winning Boer goats show our hard work and dedication to the field. 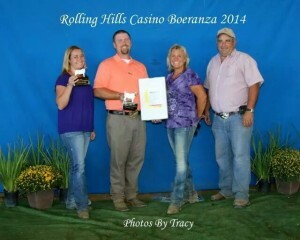 We also have registered Border Collie stock dogs. All our goats are CAE, Brucellosis and TB tested negative. 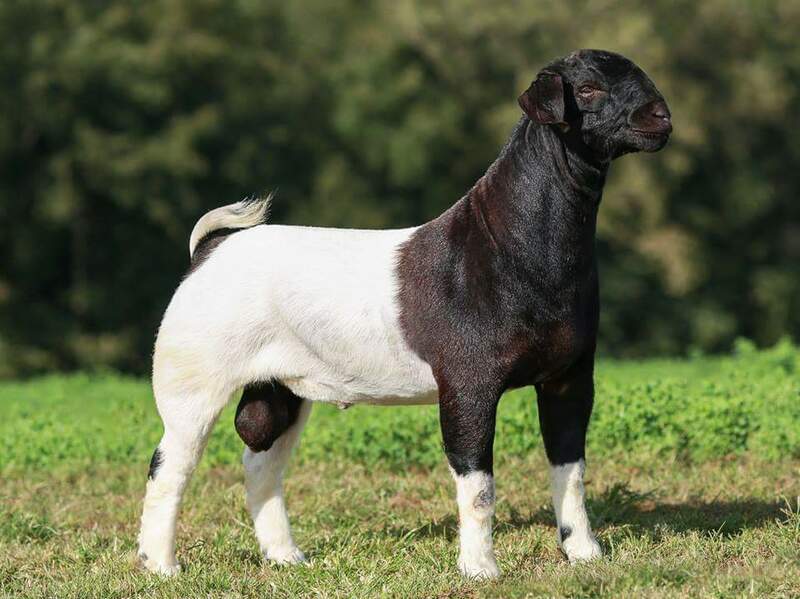 MCR Prodigy * Ennobled pictured at 10 months of age weighing 230 pounds has produced some of the best goats in the industry and his daughters are producing great goats crossed on all genetics. 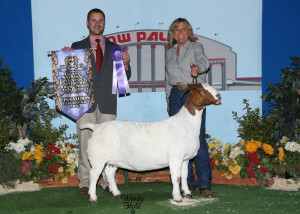 Prodigy is greatly missed. 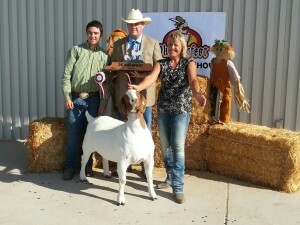 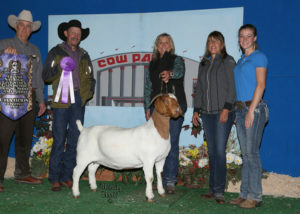 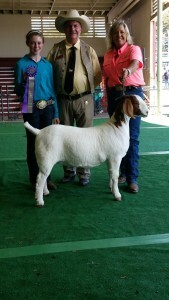 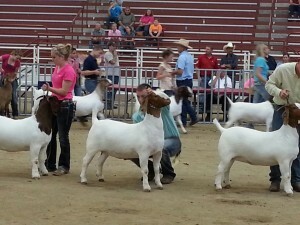 JC BOER GOATS won again at UTAH STATE FAIR with JC BOER GOATS ALI. 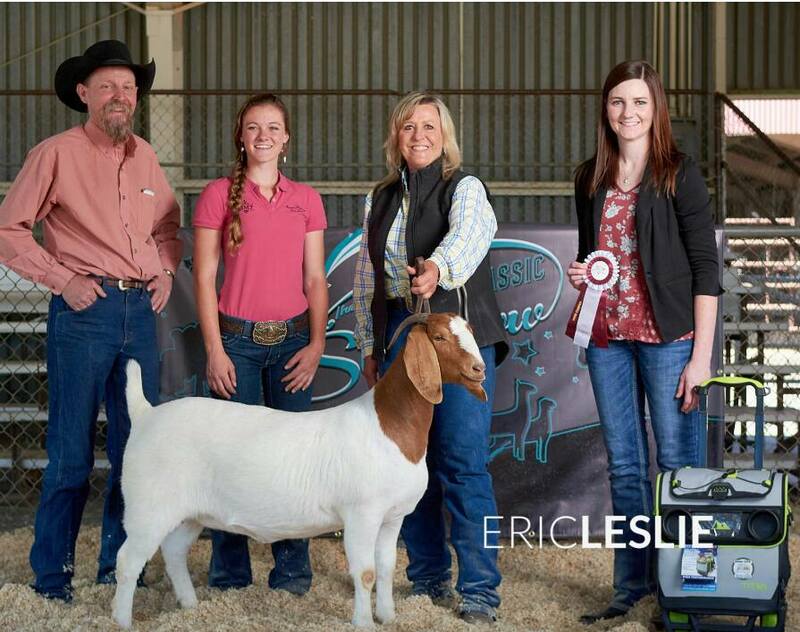 Overall Grand percentage doe. 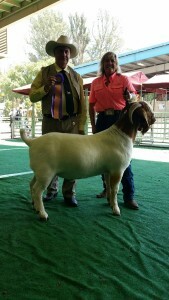 JC BOER GOATS ALEXANDRIA won Overall Grand Fullblood doe at UTAH STATE FAIR. 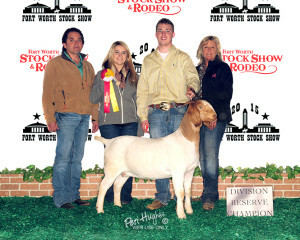 She is co-owned with Buck and Natalie Pruitt. 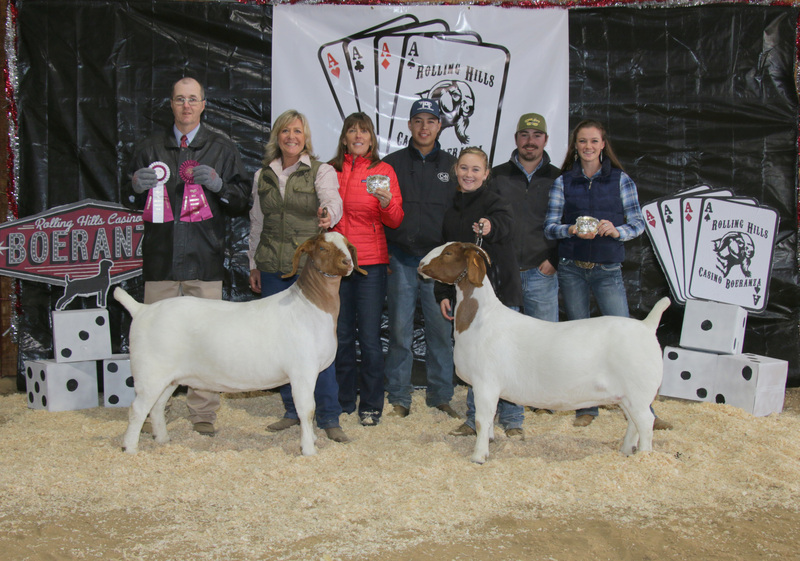 JC Boer Goats wins big at the Open Spring Classic ABGA Show – Show 1 Overall Grand Reserve Fullblood with JC Boer Goats Prodigy’s Vegas Girl and Overall Reserve Percentage doe with Newton Farms Squared Blonde. Introducing BLACK OUT to my stud buck line up! 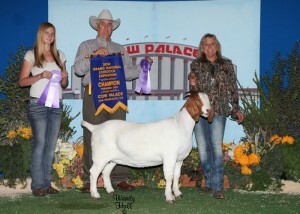 Congratulations Mount Madonna Boer Goats ( Sandra Eggers) on you purchase of half interest with me with this great doe. JC BOER GOATS MORE POWERS AMY – JUNIOR PERCENTAGE DOE CHAMPION – Congratulations Mount Madonna Boer Goats ( Sandra Eggers ) on your purchase of half interest in this great young percentage doe. JC Boer Goats also won with these two AABG NBD More Power daughters who are out of MCR Prodigy Daughters. 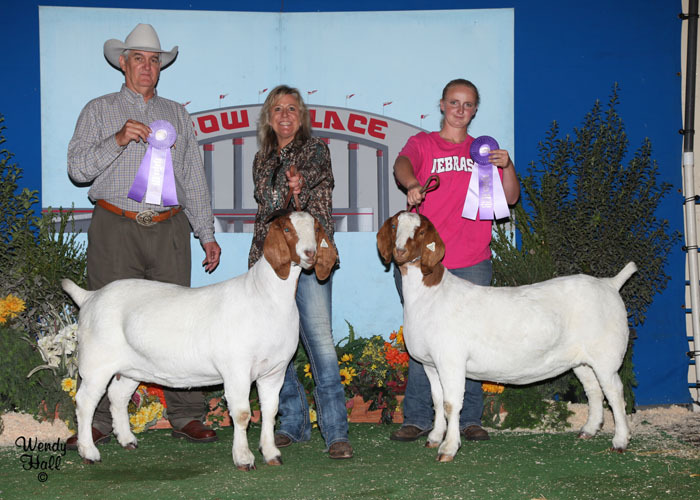 The doe on the left is out of JC Boer Goats Prodigys Street Dancer and the doe on the right was Junior Reserve out of JC Boer Goats Prodigy’s Vegas Girl. 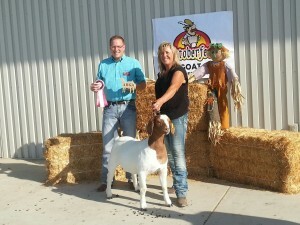 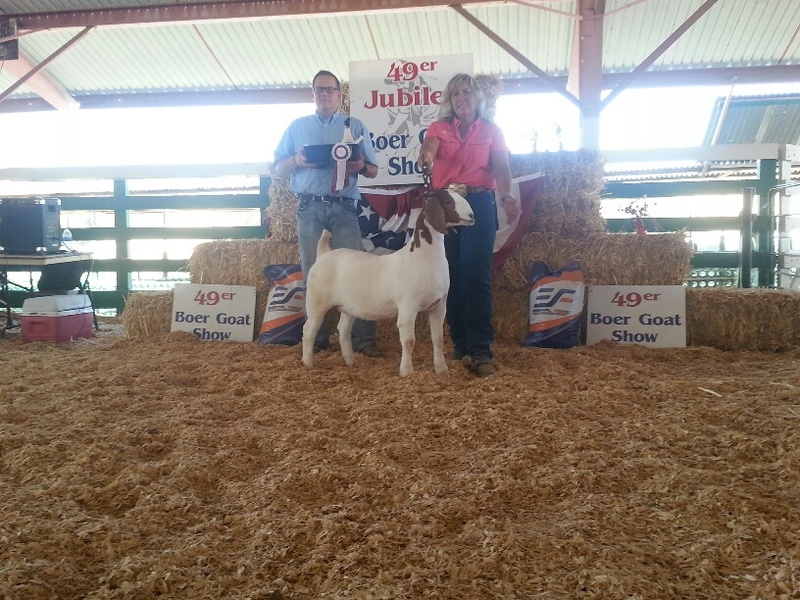 2015 – JC Boer Goats wins again at the ABGA Open Boer Goat Show 49er in Angels Camp. 2015 – Best in the West Open ABGA Show in Red Bluff. 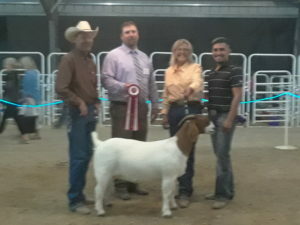 JC Boer Goats won Overall Grand Percentage Doe both days, Overall Grand Fullblood Doe both Days and Overall Grand Buck both Days. Congratulations to all who have purchased goats from us directly from the Ranch. 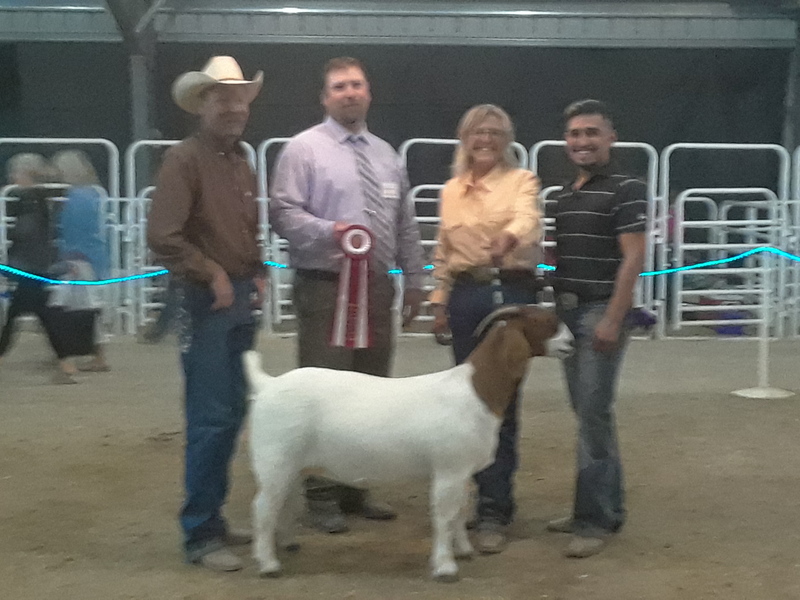 Congratulations Alyssa Lopez on your win with JC Boer Goats Prodigy’s Eye Can Play Overall Grand FB doe both days at Best in The West ABGA Show. 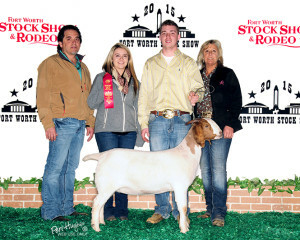 Sired by MCR Prodigy. 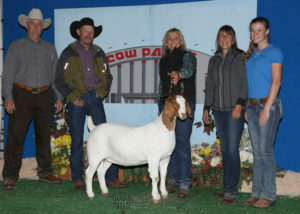 JC Boer Goats Ouzo won Overall Grand Buck Best in the West ABGA Show at just 5 months of Age. 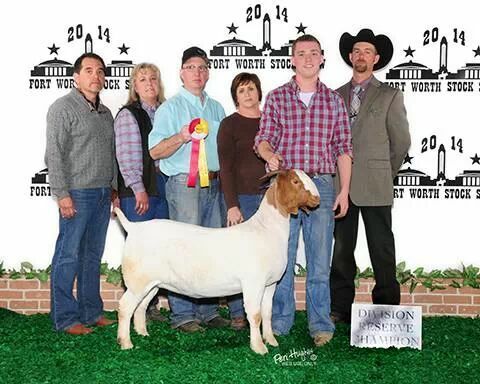 He is for sale – Sired by MCR Prodigy – for more information go to the For Sale page. 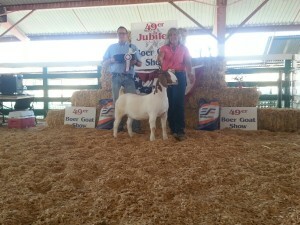 JC Boer Goats Wins Overall Grand Champion Percentage Doe and Overall Grand Fullblood Doe both days at the Farmers By Essential ABGA Show… Photos coming soon..
JC Boer Goat Wins at Northern Exposure ABGA Show 2 – TST1 Eye of the Storm Senior Champion Fullblood Doe, JC Boer Goats Prodigy’s Whiskey Business Overall Grand Reserve Buck ( Dam is TST1Eye of the Storm X MCR Prodigy ) JC Boer Goats Prodigy’s June Bug Junior Champion Fullblood Doe and not pictured is JC Boer Goats Prodigy’s Street Dancer Overall Grand Reserve Fullblood Doe. 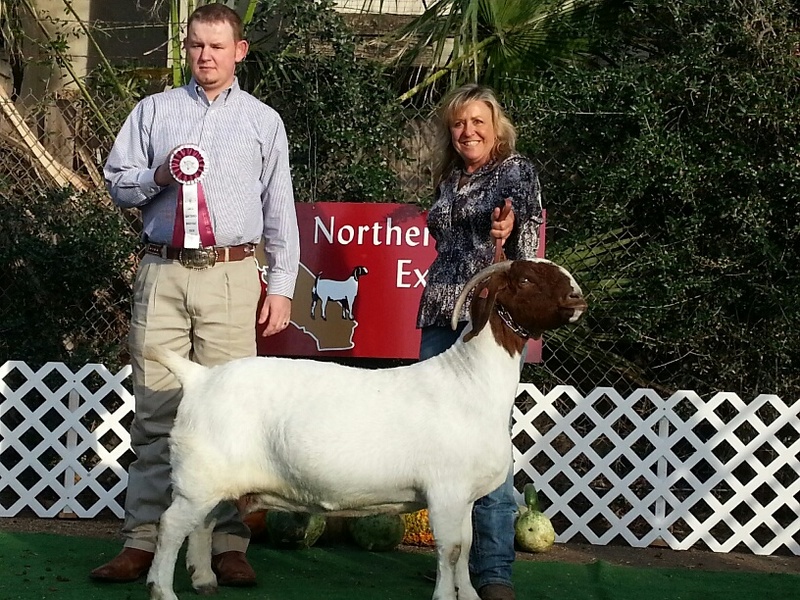 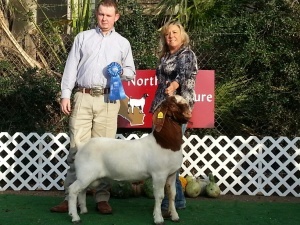 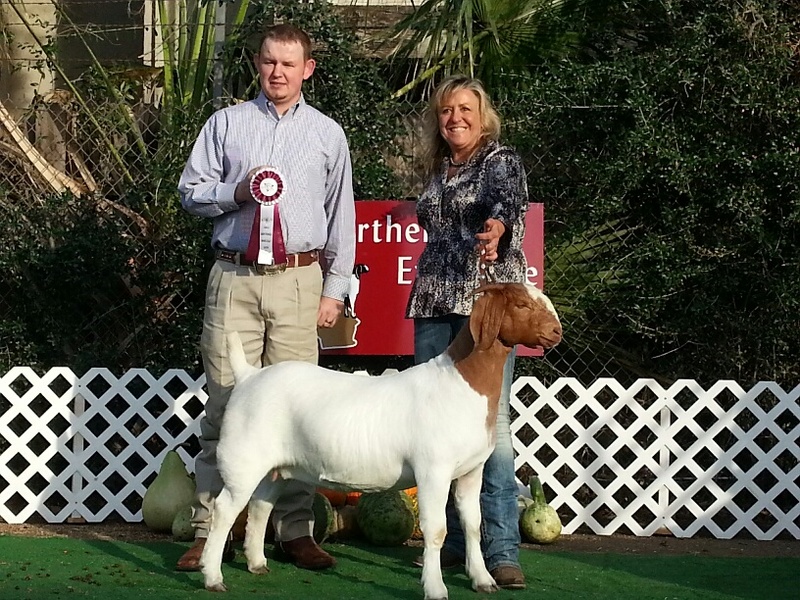 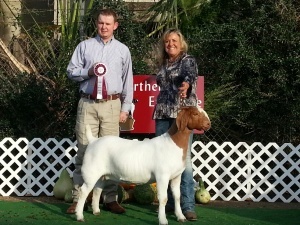 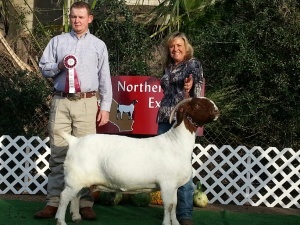 2014 – JC Boer Goats wins at Grand National Stock Show – Overall Grand Doe, Champion and Reserve Champion Yearling Does and Junior Champion Fullblood Does all sired by MCR Prodigy ** Ennobled. 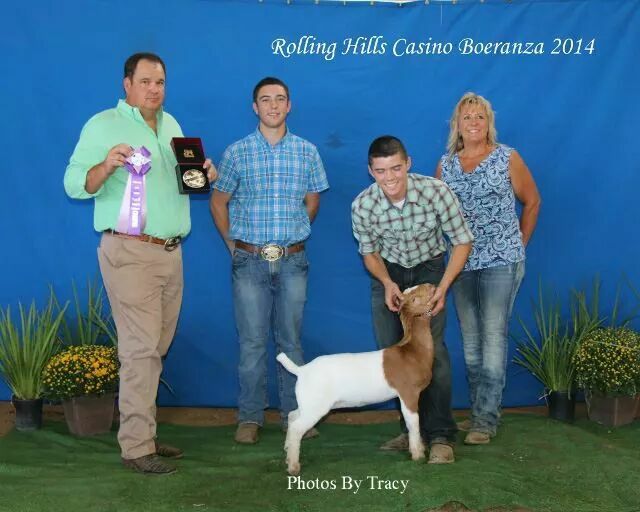 JC Boer Goats won Premier Breeder, Premier Sire and Reserve High Point Rolling Hills Casino Boeranza. 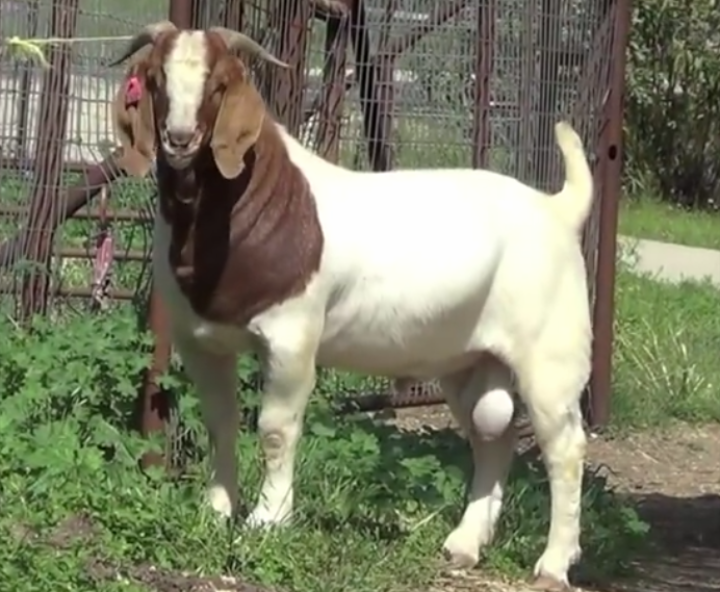 Sire MCR Prodigy ** ennobled. JC Boer Goats Prodigy’s Vegas Girl won 4th in her class out of 30 at the National JABGA Show. And placed 11th out of 41 in the Open National Show. 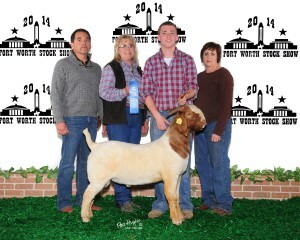 Great Job Noah Teel. 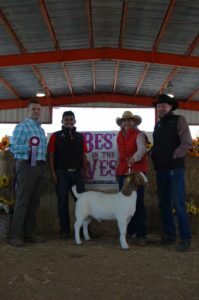 JC Boer Goats Prodigy’s Street Dancer won Overall Grand Champion Doe in both the USBGA and ABGA and JC Boer Goats Prodigy’s Spice Girl won Overall Reserve Grand Champion Doe at the Best in the West – Red Bluff, CA Both does are Sired by our main herd Sire MCR Prodigy **ennobled.